This second post for today is dedicated to cancer victims & survivors, their friends & family and helping you to support them through paper crafting. Beth Silaika and her husband Todd hold Livestrong, the Lance Armstrong Cancer Foundation near and dear to their hearts. When Beth's new set, entitled Faith & Hope, was accepted to our line-up she expressed her intentions of donating her profits to this worthy cause. Papertrey Ink has decided to match her charitable contribution and donate all of our profits from the sale of this set to the Susan G. Komen fund. This is a charity we have been supporting since our first year in business through our Promise of a Cure Pre-printed Notecard Collection. We have donated over $1,000 to date with the special edition notecards and look forward to expanding our donation capabilities through the sale of Beth's new stamp set. We hope you will join us in supporting both of these worthy causes! October is Breast Cancer Awareness month, but let us not forget all of the other types of cancer that also deserve attention, no matter what time of year. Awareness, early detection, research and eduction are all important aspects of fighting this disease. It is also important to pay tribute to survivors, as their journey after surviving any form of of cancer can be full of challenges and determination. 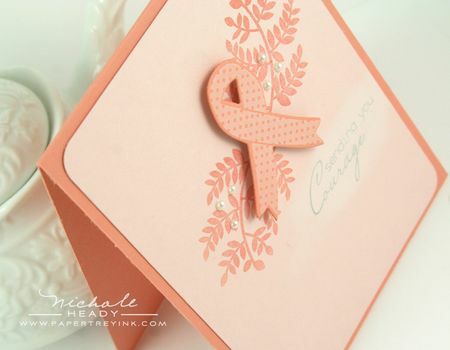 Faith & Hope is a beautiful stamp set dedicated to cancer awareness and has sentiments perfect for those going through treatments as well as those who have survived. A polka-dotted ribbon can be stamped in any color you choose to coincide with the specific type of cancer that your loved one is fighting. A simple leaf sprig can be customized with various buds and berries for a beautiful look as well. The sentiments are perfectly executed and worded giving you just the right thing to say during such difficult situations. Faith & Hope will be available for sale on October 15th. It will retail for $15, with all profits being donated to charity. A coordinating die for the ribbon image in this set will be available foe sale separately for $3. the die measures 1-1/2" x 2". Also for sale this month is Melissa Bickford's latest addition to the Flower Fusion line-up. Flower Fusion #9 features a simple daisy in both solid and outlined forms, providing you with dozens of design possibilities. Flower Fusion #9 will be available for sale on October 15th. A coordinating die for the daisies in this set will be available for sale separately for $3. It measures about 1" in diameter. My first project has a simple design but the softness of it conveys empathy and encouragement. The leaf sprig from Faith & Hope was stamped twice onto the Sweet Blush card front using Melon Berry ink. I then die-cut the ribbon from Melon Berry ink and stamped the coordinating image with Fresh Snow ink. I added a few adhesive pearls to accent the sides of the ribbon. I swiped some Fresh Snow ink along the edge of the card and stamped the "Courage" sentiment from Faith & Hope, paired up with a selectively inked "sending you" from the Sending You stamp set. Both were stamped in Smokey Shadow ink. All of this was adhered to a Melon Berry card base. I sued Flower Fusion #9 to create this bright and festive card, utilizing Lisa's faux watercolor technique from this week's Make It Monday video. I started with a block of Vintage Cream cardstock and stamped the stems along the bottom using Ripe Avocado ink. Each of the stems is stamped a second time, slightly off kilter from the original impression, without re-inking to give a shadow effect. The flowers were stamped in Raspberry Fizz ink followed by the centers in Orange Zest. I used a watercolor brush and water to dilute the ink around the flowers, giving it an artsy look. The sentiment, from Faith & Hope, finished the top of the card off perfectly. 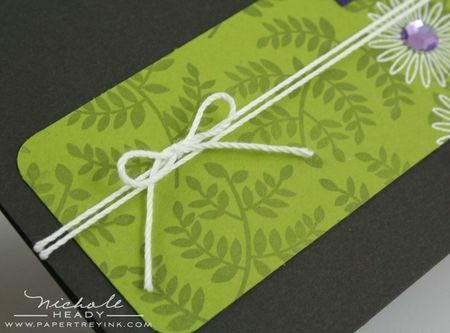 I punches a notch out of each side of the card and tied some floss around the cover in a knot. This project may potentially be one of my favorites from today. I die-cut Mega Mat Stack 3 from white cardstock and stamped the top portion of it with the leaf sprig image from Faith & Hope using Spring Moss ink. I added small flowers to it using Aqua Mist ink. 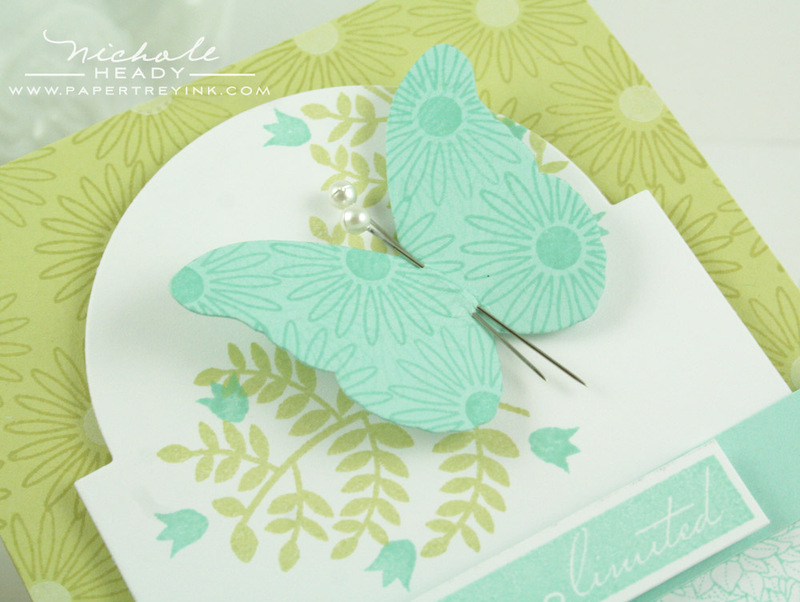 The Signature Series: Butterfly was die-cut from Aqua Mist cardstock and stamped with the outlined daisy from Flower Fusion #9. Two pearl stick pins finish the butterfly off. The "Cancer is so limited" sentiment block is stamped in Aqua Mist and added to an Aqua Mist banner. The bottom portion of the Mega Mat Stack 3 die-cut is stamped with Year of Flowers Collection. On the interior, there is a meaningful list of what cancer cannot do, with stamped bullet points added with Spring Moss ink. 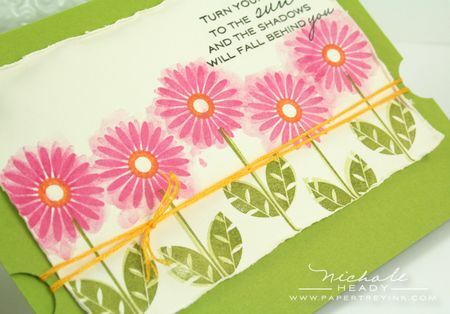 The Spring Moss card base is stamped with the outlined daisy from Flower Fusion #9 using Spring Moss ink, followed by the centers stamped in Fresh Snow. A quick and easy thank you, perfect for sending out after receiving all you lovely holiday gifts. I stamped the strip of Simply Chartreuse cardstock with the leaf sprig from Faith & Hope using Ripe Avocado ink. I added the outlined daisies from Flower Fusion #9 in Versamark and heat-embossed them with White Filigree Embossing Powder. I added some large rhinestones to their centers to help carry through the purple accent color. I die-cut the Journal Tabs die using Royal Velvet cardstock and stamped it with a sentiment from a new set that will be debuted later this week. The sentiment was heat embossed as well. I wrapped a length of white crochet thread around the card base a few times and finished if off with a bow. I hope you have enjoyed all of the projects I have prepared for you today! The new Faith & Hope will not only give you wonderful tools to show support during a time of need, but the purchase supports a great cause as well. And we cannot forget the versatility and beauty of the latest Flower Fusion set! We would love to hear your initial thoughts on all that was introduced today! Is there anything in particular that has caught your eye? You could have a chance to win an amazing prize package just for taking the time to share your thoughts with us! You have until 7am, Wednesday, October 12th to leave your comment and be eligible to win. Only one comment per person please. One randomly selected winner will be announced by noon the same day on our October 2011 Release Winners page. Thank you for stopping by today and best of luck with the contest! Erin Lincoln is showcasing Faith & Hope as well as Flower Fusion #9 today. Melissa Bickford is sharing projects using her Flower Fusion #9 set. Such beautiful, heartfelt projects. What lovely sentiments in the Faith & Hope stamp set. What a perfect way to fight Breast Cancer, donating all revenue from this set to charity. I think all of us have probably been touched in some way by this disease, at least through a loved one or friend. I love everything offered up in today’s introduction, but I have to say that Faith and Hope is my favorite! My uncle was just diagnosed with Prostate cancer two weeks ago. I’ve been wanting to make and send a card, but it’s so hard to *know* what to say. I’m SO happy to hear that donation(s) will be made with this set. Faith & Hope is a beautiful set. I just love it’s simplicity & the sentiments are so perfect. This terrible disease claimed my best friend, but thankfully my mother is a survivor. I wish I had access to such beautiful words a couple of years ago!! So wonderful for PTI & Beth to be donating the profits – I hope it’s a best seller for you! What a wonderful way to help fight Breast Cancer. This set can be used for so much more then just breast cancer. All you have to do is change out the color of the ribbon. I’m an ovarian cancer survivor..it will be 22 years next month. I have a butterfly tattoo on my ankle with a teal ribbon. Beautiful projects with beautiful sets! I lost my best friend to cancer 11 years ago. Her kids lost a wonderful mom, her parents lost a devoted daughter and her husband lost his light. The experience changed me deeply; it both broke my heart and made me appreciate even the smallest joys in my life. Beth’s set is a perfect addition to anyone’s studio as this horrible illness touches so many. how amazing that profits will go to susan g komen. Thats awesome! love your examples! What a beautiful idea for a “prize” to donate to those great organizations in someone’s name. I would love to win this prize. I have a cousin who died at age 39 leaving behind her 7 and 11 year old sons, and her husband. She was a beautiful light and spirit. So hard to let her go and so tragic that her boys didn’t get as much time with her as they deserved. Thank you for the beautiful idea. Such a kind tribute. Wow, what a fabulous set, Faith & Hope! For over a year, I have been sending handmade cards on a regular basis to a wonderful, sweet & strong girl who has been fighting pancreatic cancer for a year & a half…(I participate with Chemo Angels, a wonderful organization) Imagine how thrilled I am to see this set and how perfectly it will fit with cards I send her to support her in her struggle. Thank you for your generosity in supporting the cause with the profits. That is just beautiful. WOW…amazing! I know so many women who have faced breast. Some won, some didn’t. It’s amazing that this will go to support that and Livestrong. My 17 grandson just beat throat cancer. He wore a Livestrong band through his entire journey. What an amazing thing Beth Silaika and PTI are doing! Thanks!!!! Hmmm ~ thank you for the gift in another new set to be debuted later this week. Eager to see what else comes with that one. Perfect, especially at this time of year. Faith & Hope should be your #1 seller due to the cause and versatility. I’m sure we’ve all been touched by someone near and dear to us who is fighting or fought cancer. 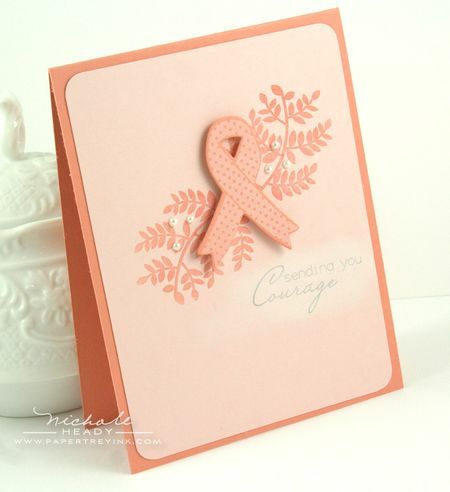 Your Cancer is Limited is a favorite of mine also ~ love your color choices, Nicole! You ladies are amazing! While I have loved everything you do, the Faith & Hope set has brought tears to my eyes. Having spent the last year fighting breast cancer (just recieved my first post treatment GOOD checkup) this hits close to home. You are all truly special. This set will come to good use. Gorgeous projects that inspire and enpower. Awesome to see. I’m loving the cancer awareness stamp set! I think it’s so important in this day and age to be able to support so many of our loved ones who are battling this illness. What better way than to make them a card and lift their spirits! Beautiful stamp set. The flower fusion is also amazing. What an important and beautiful set! It is awesome that the profits will go to charity. Way to go, PTI! Amazing, Nichole! Your projects are inspiring and beautiful. Thank you for adding this set to the PTI line! Wonderful projects… Flower Fusion 9 is just eye-catching! Faith & Hope set is just so meaningful. Thanks for all the inspiration. What a beautiful set Beth has created. Since my sister is a cancer survivor, this cause is near and dear to me. I am so inspired by the thoughtfulness and generosity of PTI in donating the proceeds from the beautiful Faith and Hope set that Beth designed. I lost my mother to cancer, and I’m sure that everyone can relate to knowing someone with cancer or having the disease themselves. Blessings to all of you!!! Faith & Hope is a beautiful set! a perfect set which will see so much use! the ‘so limited’ sentiment is perfect. i can’t wait to make fundraising cards with this set! I know of two gals I can send a Faith and Hope card to. Lovely card you made Nichole. Flower Fusion will be another hit too. I was moved by the gentle touches on the Faith & Hope card. The soft frond-y leaves and the shadowing you did on the cardstock base made me pause for a moment and think about why this set is being sold and the power we can collectively give it. I also loved the soft watercolour effect on the Flower Fusion flower heads. It’s a great idea that I’d like to try using to massage colours that I really love working with, but perhaps not all of my recipients (like my mom) share the same enthusiasm towards it. What a great way of getting behind this cause that impacts on so many lives. A beautiful set with some powerful sentiments. And I love the new addition to the Flower Fusion line, such a pretty design. In honor of friends and family who have survived, are fighting, or have lost their battle with cancer, I will be getting Faith & Hope. I wish I did not need this set, but I unfortunately do. Thank you for designing this beautiful set. That pink ribbon die is absolutely great. I can see decorating them and making them into pins. This is so generous of your company and Beth to donate to charity and what a beautiful set! I love how you combined it with Melissa’s set on the butterfly card. Thanks for sharing your creativity! Nichole and Beth, what a wonderful and generous gesture to donate all proceeds of the set to charity. That is simply wonderful! The Faith & Hope set is absolutly beautiful! What a wonderful way to support and express. Such a great and generous gesture to donate the proceeds to help find a cure for this aweful disease. Over here we would say: TOP! I’m sure I will use it with compassion. Ofcourse the flower fusion set is lovely again. You keep amazing me with the possibilities. Sure can’t wait to play! such a special set…and YAH you for donating $$ on behalf of the winner!!! I stand and applaud you for this!!! These cards are absolutely stunning!! I must have this stamp set! What a moving set this is … thank you all. I love this set. Love the cancer “cannot” list. Perfect for male or female cards. 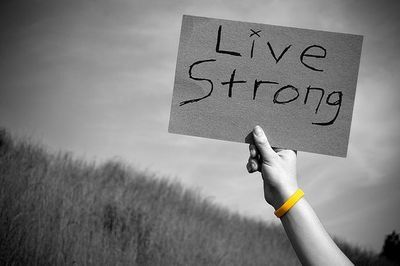 Livestrong is CLOSE to my heart. We watched Lance Armstrong win his first Tour de France in 1998–the year my dh was battling the same kind of cancer Lance had…dh has been cancer-free for 13 years now and we are very thankful every day. I have a friend recently diagnosed with breast cancer, and about to start treatmeant, so it is currently a subject close to my heart. Thank you for your promise of donations. Some beautiful cards. I really love the “Cancer is so limited” card. The colors that you picked, the butterfly with the stickpins, and the inside sentiment just have me in awe! it is beautiful. Such a wonderful idea to make this generous donation. Thank you. Those sentiments are so gorgeous. Perfect to bring hope and a smile for a dear one. What a wonderful and special set! You guys are really amazing. I love seeing businesses participate in worthy causes like this. Just wonderful. The sprig is gorgeous! 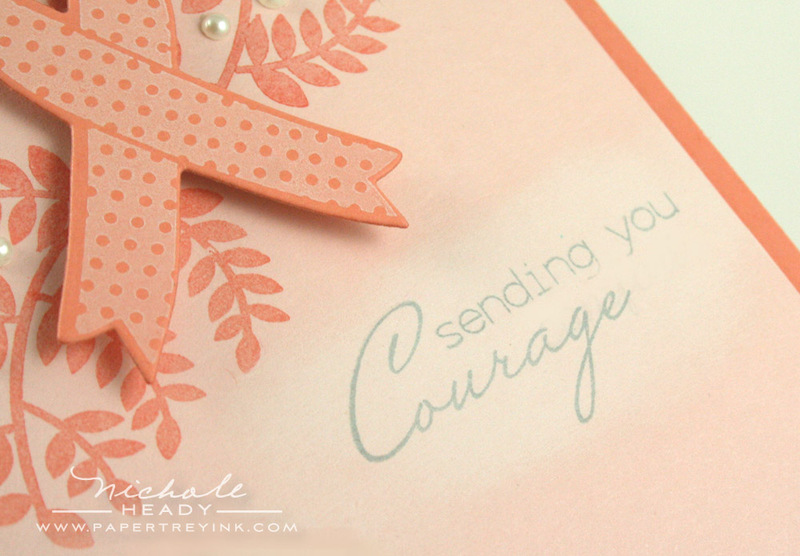 I love the soft touch of the Sending You Courage card. So pretty. So glad to have the opportunity to support such a wonderful cause with this beautiful set. These cards and sets are beautiful! Your cards today were just wonderful!!! I love each one of them! Both sets are great, but it’s almost scary to think that I might need the Faith and Hope set. Hopefully not for a long time!!! The new flower Fusion set though: that one is screaming for me to take home:-D Melissa has done a masterful job again!! What a fabulous set, Faith & Hope. And what a fabulous thing you are doing to donate the prceeds. This truly is a great company! My sister is a survivor and a great supporter of the hospital that saved her life three years ago. It will be lovely to create some fund raisers for her with this set. And of course I have to mention the lovely flower from Melissa this month – I’ve loved them all so far. All those florals caught my eye today! Surprisingly, I own very few flower stamps, but would love to change that. The simplicity of your cards and the color combinations are wonderful. My husband has been battling cancer for 6 years now. At the moment he’s fine and we try to enjoy life as much as we can. It has been tough and a rollercoaster ride so far but we’re still here. I like the work shown here. I agree with the “cancer is so limited” sentiment. Wow! What a set – thank you for putting this one out. I lost my mother to breast cancer when I was fourteen, so I understand very well how one’s life can be forever altered by cancer. Faith and Hope is a wonderful set. I am so pleased to see that the profits will donated to these worthy foundations. What beautiful stamps and dies, gorgeous and so inspirational. And I am thrilled that you are donating. And not just a small piece of change on each item, but all proceeds, thank you. I’m sure everyone has been touched in some way by cancer and this wonderful set of stamps will enable me to send thoughtful card to sufferers, survivors and families. Thank you. Sadly, I have several uses for the Faith and Hope set. In fact, one of my best friends mother was just diagnosed with Stage 4 Lung Cancer. I will be using this set to make cards for both of them. Thank you. Love the sentiments and of course, have to continue with my flower fusion collection!! I’m amazed at the new Faith & Hope set! It’s just perfect for all of the cards I make for cancer survivors. It will be added to my cart for sure. I’m also so pleased with PTI’s generosity in the prize today with the donations to the 2 foundations. Sadly, cancer has invaded our lives over the last 18 months. What I love about this set is the list of things cancer can’t do!! Love both sets, and am so happy with the choice to donate proceeds to such worthy causes. Great job, PTI! This post has me crying, thinking of my dear friend Chris Hertel (also a papercrafter) who lost her battle to breast cancer this past July. What a wonderful thing for you to donate profits to the fight. This is a definitely must-have on my list. Great additions to the family and such a great cause. I love the Faith and Hope set—it’s sad that we all need this set, but I’m grateful for creative people who can help us make cards that are meaningful to the people who receive them. I, too LOVE your butterfly card today—one of my favorite color combos and such a great layout! Thank you PTI for for this important cause. I love the samples! The Faith and Hope set is a MUST!!! Love all of your samples. Such a touching stamp set. Very well thought out. Also love the daisy. Very sweet! What a great new set and how wonderful that the proceeds will be donated to charity! What an inspiring post & a fabulous giveaway, not only to benefit us stampers, but SO many more! Thank you! As a strong supporter of the Susan G. Komen Foundation, I congratulate you on the design of your beautiful set and your decision to donate all profits from the sale of Faith & Hope to this organization! It is a beautiful set and perfect for expressing concern and love for those who need encouragement as they battle cancer. Two years ago I participated in the 39.3 mile Susan Komen walk in honor of a close friend who lost her battle with breast cancer, raising almost $3000 for this cause. The experience changed my life forever. As a survivor, I can tell you that I love this particular line. Any survivor would get a lot of use out of it. Its a really good thing that profits go to charity – thank you for that! The stamp sets are beautiful. And the support for the cause is terrific! Thanks for setting a great example for others. You’re right…the Cancer is not limited card is a beautiful creation…a great set to own. What beautiful projects and a lovely set with meaning. What wonderful charities you have chosen to benefit! The cancer set is just perfect for those very hard to make cards, especially the sentiments. Melissa did another great job with her 9th installment in the flower fusion set. Kudos to PTI and Beth for wonderful and ongoing donations for cancer organizations. This is such beautiful set. I applaud Beth and PTI for supporting cancer research. Thanks again for all you do! Incredible!!! Faith & Hope is an amazing set! Thank you for what you are doing for the cause!!! PTI is such an amazing company to donate all profits from this set!!! LOVE this and YOU PTI!!! You never cease to amaze me!!! Keep ’em coming!!! What a beautiful set – it puts thoughts into words. Sometimes very hard to do in a card, but Hope and Comfort will make it simple. Thank you! I lost my father to lung cancer. These stamps are very thoughtful. Beautiful projects today that will lift up anyone battling this disease. I think it’s wonderful that the proceeds will be donated from this set. Just one more reason PTI is such a great company. Thanks for the chance to win and be part of this donation. Unfortunately all of us know someone who has battled this terrible disease. This stamp set brings hope and the contributions another step closer to finding a cure. I seem to know so many people who have been touched by cancer. This set will be perfect when they need a bit of encouragement. These cards are amazing. And thank you for supporting causes that are so important for all of us! Wonderful sets and gorgeous projects! Can’t wait for the release! The sentiments in Faith and Hope are wonderful. I particularly like the Cancer cannot . . . list. Having lost several dear friends and family to this awful disease, I can attest that the list is so true! You are amazing, designing a set like this!! We all have people in our family or friends that suffer from this terrible disease adn it’s so difficult to find sentiments to send them your support and this new set is perfect!!! You always think of everything!!! This will be support for so many people and I love how you can win a donation! Hope this will also make people more aware and support the funds themselves also. We have a very active fund here in the Netherlands as well and they do so many good things. Sooo important!! Beautiful cards! Love the “cancer is so limited” card! Beautiful cards and such a variety of cards with the sets. What an inspiring set for making cards of encouragement! The thank you card in smokey shadow, green, and purple is terrific. Sadly I have many people in my life that I could use the Faith & Hope set for. It would be nice to use to send them a ray of sunshine. Thanks for always thinking of meaningful and uplifting stamp designs. Beautiful cards and I love the sentiments in the Faith & Hope set. It is fabulous. What a wonderful idea for a set and a great opportunity to help a incredible cause. Very powerful. Go Girl Power! What a great idea behind the Faith & Hope set! I read your post just as I finished reading an update from my best friend whose mom is really struggling with cancer right now. We’re all affected and we all have to have hope! Your “CA is so limited” card is indeed lovely. My hubs & I lost a very good friend last year to cancer, & it still feels unbelievable that he’s not here. He fought it for most of his life. Thank you PTI for taking up this cause. The set looks like it will be a beautiful icon for so many who face challenges daily. The faith & hope set is so meaningful…..believed it can win many supports here ! I’ve waited so long for you to do a cancer related set. Now I have it. Can’t wait to start making cards for those who need support and inspiration. Love this set and all of your projects. Beautiful set, extremely important cause, and thank you for donating proceeds to charity. What incredible samples you have created. Gorgeous samples for such an incredible release! The Faith.& Hope set is a much needed stamp set. Both my grandmother & I are cancer survivors but unfortunately cancer took my father at the age of 35…two yes younger than I am now. We are surrounded by friends, neighbors & church family that is affected by this often deadly disease. What a wonderful edition to our stamp collections. I also think it is quite fabulous that you are donating the proceeds to charity! Great Job!!!! What a beautiful set – tasteful, meaningful, uplifting – and how generous of Beth and PTI to carry this even further by donating your proceeds. Kudos to you all. Melissa’s new Flower Fusion addition is just gorgeous. Wow – that butterfly card is gorgeous! The Faith and Hope set is beautiful. I can’t imagine that there’s anyone who hasn’t been impacted by cancer in some way. Thanks for creating a beautiful way to express our empathy. It is unfortunate that the challenge of cancer has touched so many. Thank you for supporting the search for a cure. What a stunning, inspiring, beautiful set!!! The flower fusion daisy is also fabulous!!! These projects are amazing! “Sending You Courage” may be an all-time favorite. So much beauty packed into a little bit of paper…I repeat, AMAZING! What a wonderful contribution from Beth and PTI! Flower Fusion wonderful as always! These two sets together make a wonderful card for a loved one! Thank you for the wonderful inspiration! This is the nicest cancer awareness set I’ve ever seen. I love that both pti and Beth are donating the proceeds to charity. I will definitely be buying this. Thank you so much. Amazing projects. Thanks for giving back, this is a set that much to so will mean so many. Great cards with these stamp sets. What a wonderful way to support sufferers of cancer and their families and friends. Sadly, I am currently making one card per week to send to a close family member suffering from cancer, and am starting to run out of unique sentiments for this purpose. I think the “limited” list will be a very interesting addition. Great die and stamp sets – and for such a great cause. I too am touched by your thoughtfulness and generosity. The samples are quite beautiful. They truly convey empathy and hope. With so many people in my life that have been hit with cancer these sets are a must have to send encouragement and love! Thanks! Loving the Cancer Awareness stamp and die set and how you used, infused it, with Flower Fusion! Faith & Hope is such a beautiful set. I just love it’s simplicity & the sentiments are so perfect. The projects done today with this set are beautiful. Glad to see donations for this set are going for a cure! Your Courage and Limited cards today are so beautiful. I’m really looking forward to the Mat Stack 3 Mega die. The butterfly card is gorgeous!! Inspiring in and of itself. These are beautiful cards, and what a great way to share with the world. Beautiful! I love the colors on the Cancer is so Limited card. The daisy image in Flower Fusion 9 is one of my favorites of the series so far. A beautiful set for a wonderful cause! Thank you Papertrey and Beth for supporting these worthy causes! I am always amazed at how you can take paper and ink and create such beautiful things. You have great talent, Nichole. I am sending cards to two women right now who have breast camcer. How I wish I had the Faith & Hope set right now to use. Very touching & very beautiful cards that were shared today. All of the sets are so beautiful. And what a wonderful thing Beth and Papertrey Ink are doing in donating the profits. What a great set! I can’t wait to see all the cards and items that get created with it!! Thank you so much for supporting these two great organizations. Patients and researchers need these moneys more than you could ever know. A family member was recently diagnosed with esophageal cancer and though I have many stamps, none has conveyed exactly what I want to say in a card for him. The new Faith and Hope set is perfect. The versatility of this set is amazing & it’s a set that I definitely want to add to my arsenal. My Uncle died to lung cancer last year & 2 of my friends have beaten breast cancer. Last year I ran 5K to raise money for cancer research so buying a stamp set in support is a great idea. Thanks for all that PTI does & for creating such a meaningful set. Beth has really created a lovely set and I’m glad to hear that the profits will be donated. I love the idea of this set and can’t wait to see it. I really appreciate the funds going towards a great cause. I have a friend who is being treated for breast cancer right now. She is only 35 years old, and every day I think of her! This new set is perfect for making a card and letting her know how much I love her! Thanks for this great breast cancer set and for donating to the cause as a survivor I say thank you, thank you, thank you!!!!!! A must buy…. I’m so happy to see the Faith & Hope set. And that butterfly card is just stunning. This is going to be a big spending month for me…. I so admire you for both creating the Faith and Hope set and donating your profits to the cancer charities. The set fills a hole in my stamping arsenal, and provides a way of encouraging people in hard places. Thank you so much for your examples – both the cards you made, and the example you’ve set! iLife the new breast cancer set and of course the next fusion set. 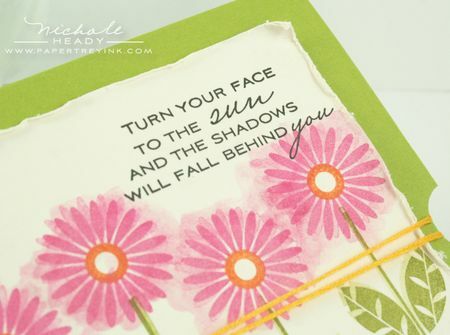 Love the sentiments from the Faith & Hope set! Thanks to PTI and to Beth for the donations given from the purchase of this set. Love the new fusion flower too! My DH is a 2-time survivor of multiple myeloma, so I am happy to finally see a set that isn’t focused on just breast cancer. What a wonderful thing you are doing, thank you. What an amazing stamp set. Thank you so much for making a set that has so much importance to people all over the world. And I love that PTI will be donating all the profits from this set. You’re awesome! This is such a beautiful set for such a worthy cause. What beautiful projects you have shown today. 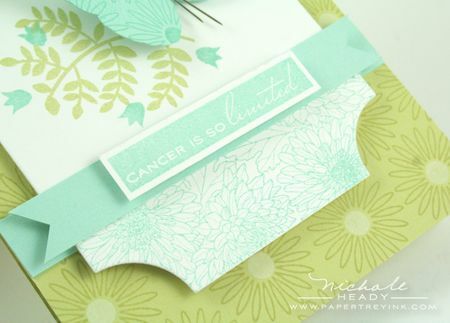 I love the Aqua Mist and Spring Moss color combo on your Cancer is So Limited card. Thanks for releasing the Faith and Hope set and donating the profits to charity. Faith and hope set, touches my heart. Flower fusion so pretty as a background stamp. Great job!! I love the Sending you courage card! Thanks for donating to such a worthy cause. Thank you for your generous donation… so many people struggle with cancer and every little bit helps! It will be an amazing stamp set in so many ways! A good friend was just diagnosed with breast cancer. I will supporting this set in honor of her. I just moved away, so I am glad I can put together some inspirational cards to send to her. Love this set and am so happy that two important causes will benefit from this wonderful set. Lost both my in-laws, grandmother, and several other family members to cancer in the past few years. So many people affected by this dreaded disease. Thank you for doing your part to help fight it. How wonderful that you are donating all of the profits from this beautiful set! Way to go, PTI! Just the most touching post EVER today….it’s hard to believe anyone could take a topic like cancer and use it for such beauty – from the donation to the stamp sets and projects. The sentiments are SO touching. Thank-you for adding these products to your line! 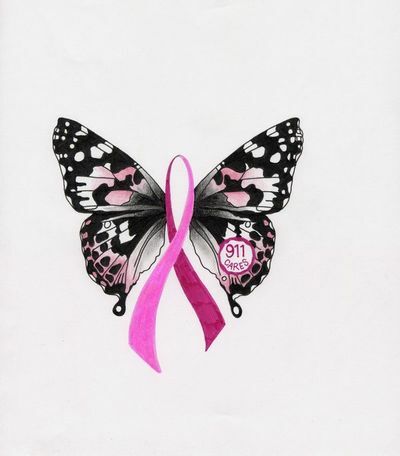 i have needed faith and hope stamps so often this past year – right now i have a friend in hospice (lung cancer) and another facing a mastectomy in a few weeks. i am a b.c. survivor. so this set will be the first on my list this month. love the beautiful cards you made. thank you! 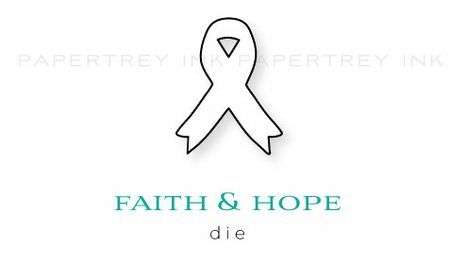 Kudos to Beth and Papertrey Ink for your generosity in pledging to donate all of the profits from the Faith & Hope set. It is beautifully designed, and definitely a must-have set. Gorgeous inspiration today! Such beautiful projects today – and such meaningful messages. Between Faith & Hope and the beautiful Christmas message stamps this month, it’s really a very moving release. There is so much love in PTI!! Faith & Hope is such a beautiful set! It was great to read that all of the profits from this set are being donated to such wonderful organizations. Love the newest Flower Fusion addition! It’s so cheery and fun. The new Faith & Hope set will be such a nice set to have for those cards that are so hard to make. Unfortunately, there is much to much need for the Faith and Hope set for so many people. What a beautiful set! I just wish I didn’t have a need for it! Winterberry is my favorite set so far! Simple, and beautiful! What a beautiful set, and I am so glad to see the profits going to these great foundations! What a beautiful set Faith & Hope is Nichole, and I’m so impressed about the decision for the profits to go to such a good cause. Everyone should buy it!! How absolutely beautiful! The papercrafting world NEEDS this kind of encouraging set. Thanks for developing it! I think that your favorite card is my favorite as well. It is simply stunning! I love that you and Beth are doing so much for cancer research. Having lost more than one family member to cancer and having at least one survivor (YAY! ), this is a cause near and dear to my heart. I can’t wait to create lots of cards and paper projects with this set for our Relay for Life silent auction. Thank you! A beautiful set that everyone should have in their stamp collection! I love the softness of the cards that you made with it, very special! It would be so amazing to see cancer cured in my lifetime. Many members of my family have been taken by the disease. Your generosity along with Beth’s to donate all profits of the Faith & Hope set is so touching. I love your card showcasing the sets along with the mega mat stack 3 die! What a wonderful way to fight cancer and what a wonderful set to make cards to send to loved ones fighting it. I’m thrilled that you have a stamp set like Faith & Hope available to us! How wonderful that all of the proceeds will go to a worthy cause. Wonderful projects! Beautiful and timely set! I have a friend that does the three day walk every year and I make thank you cards for her donors. This set will be perfect for that! Beautiful and heartfelt set.. beautiful and heartfelt sentiments. I just love it and the very impressed with the donation promise. I think this set if fabulous:) I am so glad PTI did a set like this! What a lovely way to honor survivors of cancer. Would be so happy to add this to my stamps. You could not have picked a better month for the Faith & Hope set to be introduced! When it comes to Cancer, it always feels like there isnt the right words or sentiments to express your thoughts or feelings. You have provided a beautiful and uplifting way to now express this. Thank you for supporting and helping everyone else support the cause! Why is it that I buy more and more each month? Soon, I’m going to have to get a second job! I love Faith and Hope and I love the Flower Fusion set. This cause is so near and dear to me –both my sister and sister-in-law are cancer survivors. I am not only inspired by the creativity shared by everyone at PTI, but also by PTI’s generosity in donating the profits. Thanks. My boss is a cancer survivor. I would love to win Faith and Hope to honor her! I love the Faith and Hope set and am so glad the PTI took the time to create such a great set. Such a wonderful act of kindness, donating to such a worthy cause. And the stamps and die look fabulous! I’m sure the Hope & Faith set will be something to turn to for beautifully supportive cards for those dealing with cancer. Lovely work. I was blown away when I found out Faith & Hope was coming. A friend lost her fight with pancreatic cancer just last Friday night. Thank you for creating a cancer stamp set. Love the empowering words in it and the images. What a lovely set of designs and sentiments for the Susan G Komen Foundation. I do know someone very involved in the Foundation and I plan to make a set of cards for her to use with her work. I know she will be thrilled! I love the sayings in the Faith and Hope set. In our area seems almost every family has been touched with some kind of cancer so I am especially thankful for this set. It makes me proud to support your company when you are willing to give to others. This is a lovely set. So very generous of both PTI and Beth to donate all proceeds to some very worthy causes. Your projects are beautiful and inspiring, Nichole! I’m proud to be a customer of a company that cares about a cure for breast cancer – way to go PTI! Beautiful… so glad you came up with this set. What a wonderful way to show love and support to those of our families going through cancer. Gorgeous stamp sets!! I’m so glad that PTI is coming out with a stamp set to support cancer. What a beautiful set for Breast cancer awareness. Very elegant. Love the new Flower Fusion. I can see using it with the latest bloom die. As always, I love Melissa’s Flower Fusion. Faith and Hope and the die look like a lovely set. Hopefully, they raise lots of money. Thanks for doing that. Faith & Hope is such a sweet, sweet set! Everyone can use that set, unfortunately! I am loving the new Flower Fusion, too! I am so glad you are donating to the BCA! My aunt was just cleared of all cancer last week, after dealing with breast cancer and a double mastectomy. I know 2 other women who have also dealt with breast cancer, and several others who have dealt with other types of cancer. Thanks or such a WONDERFUL stamp set!! I think cancer is an evil beast, so I dearly love stamp sets that show just how we can overcome it and support those who fight it. Thank you for donating the profits from the Faith & Hope set to the Susan G. Komen fund. I’ll definitely be buying a set to help support your efforts. How wonderful that PTI and Beth are donating the profits from the cancer set. Both these sets look amazing and I love your sample cards Nichole. What beautiful cards and reminders in our busy lives to stop and think of others. Thanks for the chance to help. these projects are amazing. Love the idea of the Faith and Hope set, as there are so many people I know fighting cancer right now. wonderful stamp sets. how generous that the profits will be donated to susan g. komen. thanks. This is going to be an amazing release!! I can’t wait!! That’s wonderful that you are donating to such worthy causes. You had me at “donation.” Really, who needs more stamps sets (wanting and needing are two different things, of course)? The donations are the best prizes you’ve offered to date. I’ve been searching for just a set like Faith & Hope, one that reflects sensitivity and encouragement during difficult times in one’s life. Thank you Beth & PTI! This is such a wonderful set! Thank you for your thoughtfulness and generosity! Cancer seems to strike so many people these days. Thanks for being aware of it and for your contribution to the cause!! I’m thrilled to see a set dedicated to encouraging those fighting this awful disease. It will certainly be in my cart, as I have several people close to me that need encouragement while battling cancer. The Faith and Hope die and stamp set is amazing. Such a wonderful idea. You always inspire my creativity! Wow those projects are so beautiful and heartfelt. Faith & Hope is a set I’ve needed for a long time. Thanks PTI for making it! I also adore this release of Flower Fusion, it’s my favorite to date. Such pretty projects. And a great idea for a set. With losing a sister many years ago to breast cancer and another sister in a battle with it now the winterberry Hope and Faith set is a must set for me. I do whatever I can to support any cancer group since we have had many in mime and y husbands side who have fought, lost and won. Your card is just Gorgeous!!!! Thank you for releasing this set! Same as you Nichole, that card is my favourite too. Just stunning and the colour combo fantastic! My PTI list just keeps growing and growing. What a fabulous set, so moving! Just beautiful…love the sets, the message, the colors, and the donations. What a wonderful set! My dear friend was just this week diagnosed with lung cancer. The meaningful list of what cancer CANNOT do will really help. Thank you for designing this set and a big thank you for donating the proceeds. Beautiful sets! And, while more ‘stuff’ in the prizes is always wonderful, the donation is such a great idea! Such beautiful cards, and absolutely gorgeous images from these sets. I’ll definitely have to stay awake for the release this month, as I’m certain the wonderful Faith & Hope set is going to sell out! Faith and Hope is such a beautiful set. And your generosity is a blessing. An inspiring and beautiful stamp set that will continue to give faith and strength. Really beautiful, heartfelt set of stamps!!! Seriously awesome!!!! Your projects are so inspiring. The die is perfect and fitting. Fabulous!!! More amazing cards with a wonderful new set. In just a few hours, my mother-in-law will arrive for a visit. She is a breast cancer survivor, and I’m touched to read about PTI’s generosity regarding purchase of this set. What a win for everyone that chooses to own one. Your projects are as lovely as the sentiments they express – the watercolor card is so cheerful, the butterfly card is simply lovely, and the color combination of the last one is so vibrant. Thank you for these beautiful projects. Love the daisies, so bright and cheerful! I also really like the sprig and sentiments from Faith and Hope. You always hope you won’t need a card for this purpose but, sadly, it happens too often. This is a wonderful release and the projects are beautiful. Thanks for your generosity in donating a portion of the sales to cancer research. Gorgeous sets! Such strong emotions can be conveyed with just a simple card using these sets! Wonderful cause! The Faith and Hope set is wonderful. It is classy and cheery and encouraging all at once. The sentiments are great too. Thank you for your contributions to the charities and also to the great encouragement of so many people. The flower fusion is one of my favorites and I have liked them all! As a survivor myself, I am always on the lookout for stamps that I can use to make cards for fellow survivors. I really like the sentiment stamps here. Thanks for bringing awareness in a creative way! Thank you for the generous gifts from you and Beth to a wonderful cause. My mother passed away from cancer, so it’s near and dear to my heart. I look forward to seeing the whole set, I know it will encourage many! I don’t think there’s a person out there who has not been touched by cancer in some form. Beautiful cards, and Nicole…thank you for your support of such a good cause that is near and dear to my heart. We have a number of cancer survivors in my family, and it is a cause we support strongly. Thank you for making a difference. These cards are all so beautiful but my favorite is ‘sending you courage’. 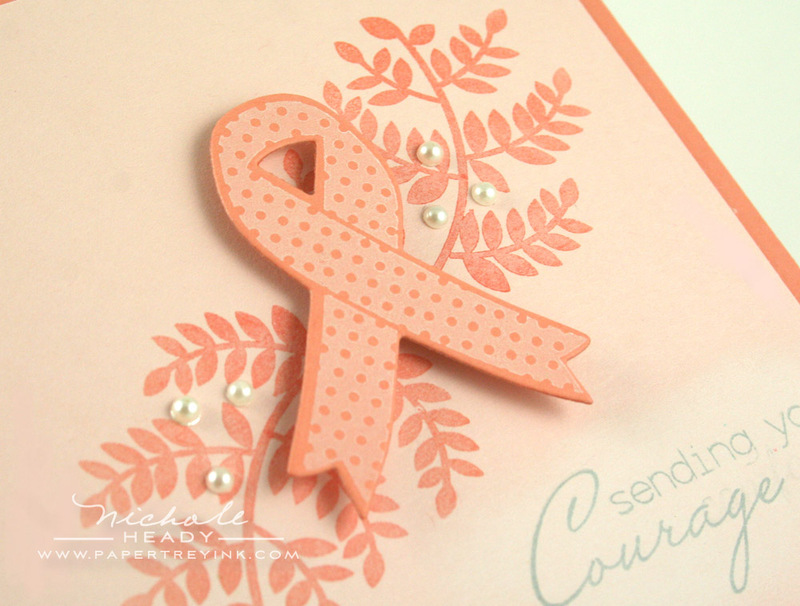 The simplicity of the card is so soothing and the sentiment expresses what we wish for anyone fighting cancer. Beautiful set! The cards are so beautiful! What a wonderful set. These are all lovely – well done for donating the profits! The stamp sets are beautiful and the thoughtful donations are very generous. This is a very meaningful set to me personally and also in general. Thank you for coming out with this set…unfortunately too many people I know struggle with cancer daily including my mom. 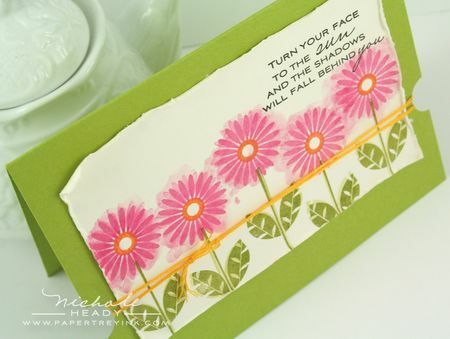 The sentiments are lovely as is this month’s Flower Fusion set. Thank you for the inspiring projects, your dedication to fighting cancer and the chance to win. I LOVE, LOVE, LOVE this set! It’s coming home to me! As a 2-time cancer survivor, I only know too well how much the cards made with this set will mean to people! The prize for this post touches my heart! Thank you! Great prizes there, especially the donations! I know that one oncologist I’ve been to has the “cancer is so limited” poem printed up on pretty paper for patients and their families to take with them. It’s nice to see it in a stamp. What an empowering stamp set. The sentiments brought tears to my eyes. I think it is wonderful the prize includes $50 in donations to two cancer charities. Such a great gift! What an amazing set – Faith and Hope! My mother and father are both cancer survivors. Thank you, PTI, for not only bringing a great support stamp set to market, but especially for your thoughtfullness in donating the proceeds to the fight! Lovely examples for a set unfortunately needed. I applaud yours and Beth’s generosity in donating the profits. This will be such an amazing release. I just can’t wait to see the full reveal…too much to even comprehend! I think this is a wonderful set, I wish it had come out in Sept. in time for me to use it for my Avon Walk for Breast Cancer fundraising. I am touched that you would donate the funds and Beth also. I do have some concerns with Susan Komen, there are other organizations where more of the money goes to research and aid, and less to admin and legal suits. Any contribution to help fight any and all cancers is a good thing. Am so glad to see such a meaningful set added and love the fact that profits will go to charity!!! Your projects are always amazing!!! Love this new release!!! 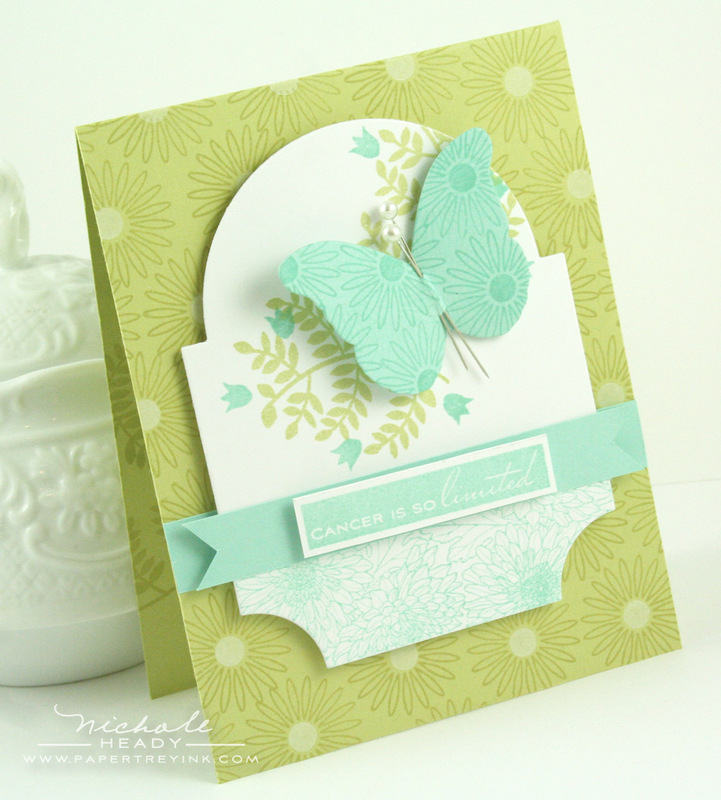 Beautiful set – Faith Hope – I can’t wait to see the sentiments….but that leafy sprig is enough to warrant purchase! I appreciate your donation to cancer research! What a wonderful way to contribute to the fight against Breast Cancer. I love the sentiments in the Faith & Hope set, thank you again for the thoughts behind this set! Wonderful projects today and for such worthy causes! Thanks for providing wonderful inspiration so that we can provide it to those in great need! What a meaningful set to a lot of people. The flower fusion sets are among my favorites…but the Faith and Hope set is wonderful. as a breast cancer survivor myself, I love the sentiments and images that I’ve seen so far. Can’t wait til the 15th! Faith & Hope is a wonderful set to spread hope & inspiration to all cancer survivors. I look forward to seeing more wonderful projects featuring this set. I seriously teared up when I read the sentiment inside that beautiful green and aqua card… So touching!! Faith & Hope! I’d dare guess this is going to be a best seller. Be sure to have a large amount in stock as everyone is going to want one. I am touched that such a young company as yours has done so much to enable a cure for the dreaded cancer. I just read yesterday of a fellow paper crafter who has inoperable stage 4 gastric cancer. The stamps that have been designed represent a way that I can touch someone who is suffering or has been cured. What a Blessing this set will be. Thanks for all your donations to the organizations. Can’t wait to order. Every month those flower fusian images get cuter and cuter. This month’s is especially adorable and I can not wait to give them a try. Unfortunately I have an immediate need for the Faith & Hope set. Thanks for filling the void and for your generous contribution to finding a cure! Such a lovely set! And so needed! Love the aqua and green card!!!!!! Stunning! Needless to say, I’m drawn to the two sets that helped create that card–Flower Fusion #9 and Faith & Hope. Such beautiful sets! I also love that you are donating the proceeds of Faith & Hope! Gorgeous projects Nichole! Faith & Hope is definate must and its fantastic that the profits will go to charity – Thank you PTI! I’m always a big fan of flowers, so I love the die. The Faith & Hope projects are beautiful and so heartfelt. I especially like the sentiment “Turn your face to the sun and the shadows will fall behind you”. The daisy, a favorite flower of mine, is a nice addition to the Flower Fusion series. I agree, that beautiful butterfly card is my favorite project of the day. I also love the gift certificate holder. What a wonderful release this is going to be! 3 Cheers to PTI & Beth! What a thoughtful set! Their are many people suffering from this terrible disease, and what a wonderful way to brighten their day! May God continue to shine His blessings on these people who suffer from cancer! Once again, beautifully designed stamps, dies, and sentiments. Why am I not surprised by Papertrey’s support for the Susan G. Komen and the Lance Armstrong Cancer fund Livestrong charities, it is company’s such as yours that restore faith. As others have said, we have all known or know someone battling this terrible disease, thank you for caring and let us hope that cures will be forthcoming in the very near future. Wow, gprgeous cards and projects, Nichole. So nice!! Fun projects! I have been wanting a breast cancer set! This post is SO inspiring! The cards are so trendy and meaningful. Lovely! What a wonderful way to support a worthy cause – you all rock!!! And the added donations in the name of the winner are a nice touch, too!! Keep those great ideas coming! It has touched everyone’s life! How marvelous of you to create for the worthy cause of fighting cancer! Also, thanks for giving us ‘words’ to use when quite often, words escape us! This is such a beautiful set….I’d love to add it to my collection of stamps! What a beautiful set to help support the fight against cancer! I love the fact that PTI is donating all proceeds for the Faith & Hope set to charity – reason enough to put this set into my shopping cart! Thank you for remembering those touched by this disease!!! I didn’t think I would need the Faith, Hope set. But it is too versatile to pass up. Unfortunately, I know some people who could use a card made with this set. I can’t wait to make them and send them some happy mail! My favorite stamp release this month will certainly be Faith and Hope. So many people have been impacted by cancer, and I see many uses for this set. I really love the ribbon die and the projects made with it – what a special idea! I really like the “cancer survivor” card. The colors are so soothing. I like that you show how to use stamps as background images. I think this is a great concept, thank you for allowing others to recognize people’s strong fights against a horrible disease. The daisies are adorable! Just wonderful! Faith and Hope is truly a beautiful stamp and you are all so sweet in donation the money. Such beautiful sets. F&H is simple wonderful, perfect for a church card minister, thank for such a thoughtful set and for the kindness shown with the donations! What a wonderful stamp set! It is amazing that PTI is donating the money. Your generosity is inspiring. Sadly this comes at the perfect time for me. A friend whom I love dearly was just diagnosed with bone cancer. In fact, I am putting together a care package at this time. I would be amazing to include a card with the Cancer is so Limited verse. Thanks for addressing this niche that unfortunately too many of us need. LOVE the Faith & Hope set! I think it will have many possibilities for cardmakers. Faith and hope is an inspirational and beautiful set in design and sentiment. How wonderful to donate in the name of someone. Bless all at PTI. The Faith and hope set is great and one that everyone can use. Thank-you for supporting cancer research. What a great set and the fact that you are donating the proceeds is even better. This is a wonderful way to celebrate Cancer Awareness month! You all rock! What a wonderful way to support such great causes. Hope this stamp set becomes a bestseller! Great sets! The faith and hope set is beautiful and powerful. Loving the latest flower fusion set! Beautiful projects; my favourite is the Moss & Aqua one. Wow!! These projects are amazing! As a breast cancer survivor, I would have been thrilled and uplifted to receive cards like these when I was first diagnosed! The Faith and Hope set is just awesome – great job, Beth!! I just love these sets! My mind is racing with all that I can do with them! What a great release day!! Love your idea of donating the proceeds of this stamp set. It is definitely on my must have list! This post today has truly touched my heart. I am totally blown away by Beth’s and PTI’s beautiful stamps and projects dedicated to Cancer. Praying we will see a cure in our lifetime through the love and caring of so many! What a wonderful set! I love the simplicity of the designs and the beautiful sentiments. We all, far too often, are touched by cancer. I have several friends and a family member who are breast cancer survivors and a dear friend who was recently diagnosed with uterine cancer. Thank you to Beth & to PTI for giving us this precious set as well as generously donating the proceeds to two very worthwhile charities! Faith & Hope seems like such a unique set. And that the profits are going to two great causes is icing on the cake. It is so great that PTI is donating all proceeds from the Faith and Hope set. I have it on my list. I love all of the projects posted today, beautiful! I love the Cancer set- I am a SURVIVOR for 3 years!! really want that set! i know so many people fighting cancer right now that i am praying for.. I will purchase this set in the faint hope that I will not have to use it. I have lost 3 friends to cancer in the past 10 years and my husband is a survivor, However I know the words will touch the ink and they will make what is always difficult to write easier. Thank you for yoour inspiration. Love how sweet and cheery these two stamps and dies are. Your donations to the charity is wonderful! No one is not touched by cancer. Thank you! Amazing set…..I will be ordering this one for sure! Such beautiful creations as well Nichole, simply stunning. I love both these sets and how each works so well with the other. I’m a cancer survivor, and would have loved to receive such beautiful cards while going through my surgery/treatments. It’s awesome that PTI will be donating $50 in the winners name to the two charities, so generous and thoughtful. Hopefully we’ll be able to one day have a cure for this ugly disease. That’s my prayer. What a beautiful set and an amazing cause! We lost both grandparents to Cancer so it is wonderful to see a set commemorating the fight and struggle of this horrible disease! Wow! Nice to see the cancer set. I’ve been waiting to buy one, and I know I’ll love PTI’s style in this set! So many amazing, vibrant people I know have been stricken with cancer. It speaks volumes about Beth and Papertrey that you would create this special set and donate the profits. I admire you all more than ever. I love the leaf sprigs from the Faith and Hope set. I can see using this a lot. Although breast cancer has not hit my family, cancer in general has, great to have this set available. Faith & Hope is a wonderful set. What a great way to show your support. You guys are awesome! What a lovely new set. A good basic set that unfortunately we need too often. Thank you for making such a beautiful stamp set in Hope and Faith. This set will allow me to express my encouragement for those I love who have cancer. The Faith and Hope set is very beautiful and I love the die that accompanies it. I will also add Flower Fusion #9 to my evergrowing collection. I can’t say enough THANK YOU’s to PTI. You are wonderful caring people and I’m proud to support your generosity with this beautiful Faith and Hope set. Beautifully designed…beautifully named…This one will be near and dear to my heart. This month’s flower fusion may be my favorite. I love what you’ve done to showcase this gorgeous flower. What a wonderful second post. I have loved ones who are cancer survivors and this deadly disease affects everyone. Thank you for you support Nichole and Papertrey Ink team!!! Such a sweet and caring gesture to donate all the proceeds from the Faith and Hope set. Papertrey rocks! Wow, these projects are gorgeous!! I love them all! I am so glad to hear that the proceeds of this set will go to worthy causes! Thank you! The faith and hope set is so wonderful. Thank you for creating this. Oh how perfect!!! The Faith & Hope set is a definite for my cards for a cause ministry that sends cards to the chemotherapy room at our local breast cancer treatment center so they can write loved ones while undergoing treatments… Thanks so much for this amazing release!!! The Faith and Hope is beautiful. The comments on a lot of the above posts mention people who have been affected by cancer. My father passed away in 1998 with colon cancer – he was only 59. Five years later, my mother passed away with pancreatic cancer. This horrible disease took two wonderful people from our family. Thank you so much for donating toward this very worthy cause. Thankfully I’ve had no direct exposure to this battle in my circle of family and friends, but it’s truly wonderful how PTI is contributing to this cause. This is a purchase that I hope to never have to use, but will gladly make to help support these efforts. Your cards are beautiful and I love your Faith & Hope set. Thanks so much for this set and your donation! My mom and MIL are both battling cancer now. The set is so beautifully designed! The cancer stamp and die are a must. Thanks for offering this. I lost my Dad to cancer early this year. Faith & Hope is such a gorgeous set! I’m so pleased that proceeds go towards a great cause. Wow!! What a great release so far! Gonna spend lots of money this month. Can’t wait!! Just gorgeous, and so inspiring! What a great set to honor those who have survived as well as those who have not. My brother died of liver cancer at the age of 46…so sad and he is so missed. Thanks for the chance to win! Love these sentiments, what an amazing set. The Faith and Hope stamp set and die is a wonderful tribute to all who have been affected by breast cancer or any other cancer. I also love the flower fusion. Thank you for donating the profits of the Faith & Hope set! 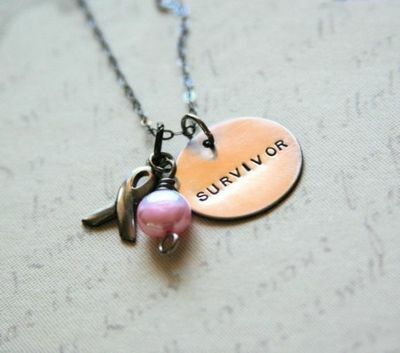 I am a breast cancer survivor so I am touched with the set you have used today and I just LOVE the sentiment. As awful as breast cancer is, it changed me in a positive way and I really appreciate life more each and every day. Stamping makes me happy and I love to create….thanks for all you have done to make my hobby so fun! What a great company you have, so generous! Love the stamps! Glad PTI is supporting this worthy cause- love the sentiments. I love the leaf spring from Faith & Hope. If I win, can the donations be made in the name of my sister who is presently fighting cancer for the second time? My secretary is a 3-time cancer survivor, including breast cancer…the Faith & Hope set would be delightful to have to make her some nice things! Love the cancer awareness stamps, what a great set to comfort and encourage people suffering this disease. I applaud you for donating money to such a good cause! Luckily I don’t have a need for the Faith & Hope stamp set right now, but it’s a wonderful idea and will go on my wishlist for sure. The Flower Fusion #9 daisy looks so cheery it makes me smile. Love this…breast cancer hit our family this year….and we have lost wonderful friends to other cancers as well…I LOVE what you are doing for this cause…..its going on my list for sure….thank YOU!! Great sets today with some beautiful cards. I really like the Faith and Hope set. It is so much more versatile than just a ribbon stamp. Flower fusion 9 is really sweet also! So many thoughtful expressions in your designs this month that will be passed on thru so many thoughtful creations! I love everything about the Faith & Hope set. Thanks for sharing all of these wonderful projects! They’re all beautiful! Faith and Hope is such a nice way to show support. The inspiration on your cards is amazing. I love the sweet blush card and the butterfly card. How comforting! Would be honored to win this prize. Thanks for the chance. Such beautiful cards, especially with the heartfelt and supportive sentiments. I really love the rich colours of the Thank You card too. Faith & Hope = perfect combo! What a fantastic and meaningful set, I don’t think there is anyone I know whose life hasn’t been touched in some way by this terrible disease. Very powerful sentiments, perfect in every way. These projects are GORGEOUS! And the sentiments are so powerful! What wonderful sentiments and images in Faith and Hope! I can’t wait to see all of the faith and hope set. I loved the rich look of your thank you for the gift card. I’m anxious to see more from that set too. I am absolutely thrilled with the Faith and Hope set. I work at a cancer treatment facility and am touched on a daily basis how strong the two words faith and hope are. Whether you are a patient or a loved one of someone who is “walking the walk”, your life will never be the same. I can see many cards being made for patients. Thank you! So great for the month of Oct. Your projects are always so creative. Love PTI’s generosity. I can barely read the comments without tearing up…all I can say is..Amen,sisters! I love your “Cancer is Limited” card. My best friend is fighting stage 4 lung cancer. Research for a cure is desperately needed. What a great cause. Thank you. Beautiful projects! Love the Faith and Hope die! Beautiful products for such an important cause. Congratulations to the Papertrey team. I just love the projects and the life they bring! Thank you Beth and Papertrey Ink, what a fabulous idea! Lovely stamps. What a wonderful set to do and contribute your profits…such a great thing for you to do. Love the new flower set too. It’s great you made the Faith and Hope set – I know many people love to make these cards for loved ones. The Flower Fusion die is adorable, too! This is a beautiful set which I will definitely be purchasing. Another great addition to Flower Fusion. I love it. What beautiful projects! The Faith and Hope speaks volumes. Wonderful. Beautiful projects and even more beautiful sentiments. I am thinking of painting the “shadows will fall behind you” quote on one of the walls in our home. I don’t have any sets like the cancer one, but I can, unfortunately, see all too many uses for it. I love the sweet blush card made with it! Cancer affects so many people and families these days, the set by Beth is so perfect. I can’t wait to see more of it. I, too, love that card with the butterfly. The colors are so gorgeous together. What great sets and great causes to support! Thank you for your contributions to the foundations! I am loving this release and it is only day 2! This might be the best one yet (I always think this!). Thanks for giving us such great products. Love all the flower fusion sets…lots of versatility in such a little set! And as for the Faith & Hope set…well done! This might be the best Flower fusion yet! Faith and Hope looks great. i really like this month of stamps! Faith and Hope is beautiful. It is so awesome that the proceeds will go to fight this devastating disease. PTI rocks!!!! Thank you so much for this stamp set and for donating your profits to cancer research. I lost my dad 10 years ago to pancreatic cancer, my dad’s brother died from cancer last year. Also, I have had 2 aunts on my mother’s side that are breast cancer survivors so this set will have a special place in my collection. Love the die and ribbon stamp. They are stunning and such a great addition to a collection. Finally, a wonderful stamp set for inspiration for those feeling so hopeless. My MIL and grandmother in law are both breast cancer survivors, and unfortunately we received some news that one of our clients was JUST diagnosed with cancer last week. This set would definately get used. Thanks for creating such an uplifting stamp set! 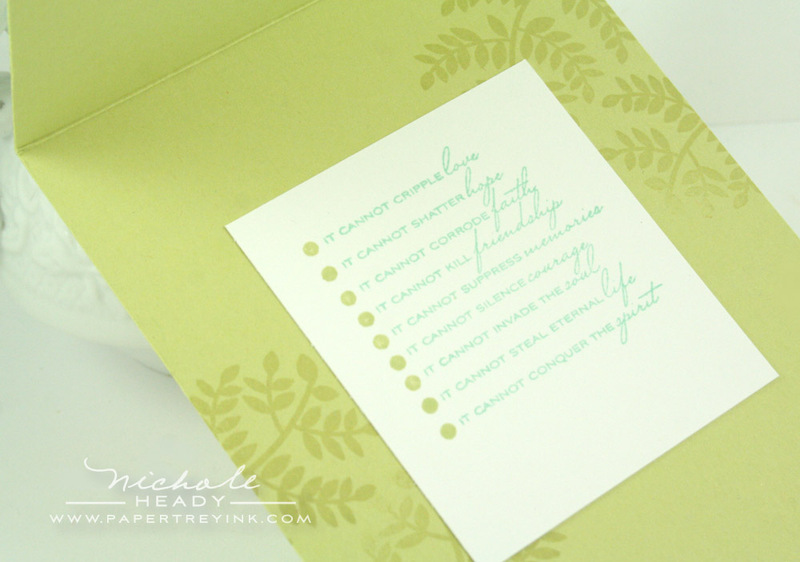 I especially love the sentiment set “cancer is so limited” and all the things it cannot do. I really, really like that one and the card you created using it. Thank you for the Faith & Hope set, Beth and Nichole. I am a cancer survivor and I beyond thrilled with this newest addition to the stamp line up. Great stamps and die. The Faith and Hope set is so meaningful. Love the look of the flower card. Thanks for the inspiration. Beautiful cards. I love the list of things cancer is not. The generosity to donate the profits is awesome and very kind. Thank you so much for designing a stamp set for charity, just another reason to love Papertrey Ink. Looking forward to seeing all the stamps….thanks for your donations to cancer research! Amazing sets! Can’t wait to get the Faith & Hope set. Amazing, I love the fight for a cure stamp set. Wow, so many inspiring projects today! I hope that the Faith and Hope set makes so much that you are able to make a very large donation. Your generosity is wonderful. My Mother is a breast cancer survivor! I can’t believe we are going on 8 years now!!! She is one tough cookie!! Such a strong and self driven woman..I Love you Mom!!! And thank you PTI for supporting this cause!!! Nicole you and your design team are so thoughtful. I think it is great to donate the proceeds of the Faith and Hope set to help find a cure for cancer. Most people you talk to have been effected in one way or another by cancer. Yur company is great, keep up the good works! Thank you for offering the Faith and Hope set. It can be used for many different things! As a 10-year survivor of breast cancer, I love both stamp sets and the coordinating dies, but love most the donations that would be made! I’m sad that we have to make cards for our friends or loved ones who are affected by this terrible diease, but so happy to have a way to show our love with these stamps. Cards were very important to me when I went thru surgery, chemo and radiation for breast cancer at 37. Two more beautiful sets! They are so inspirational! What fantastic projects! Thank you for such a wonderful set and for the wonderfully generous donation to Komen & Livestrong. Being recently diagnosed with breast cancer, this means a lot to me. When my husband was dying of cancer someone sent me the saying about cancer being so limited. I truly cherished it. I’m so glad to see it here on your new release. It will be an encouragement to others. Beth designed a beautiful set, it is very nice what PTI will do with the money that is made from this set!! The Flower Fusion set is very nice also!! I love the new Faith & Hope Set, and of course Flower Fusion additions are always adorable. I think the best part of this post is the donations you are giving to the Susan B Komen and Livestrong organizations, what a generous gesture. Love the Faith & Hope stamp set and die, and am always excited to see a new Flower Fusion. My mother and grandmother are both Cancer survivors. Faith & Hope is a wonderful set. Really cute sets and love all the sentiments too. Thank you for your support to such a worthy cause. Love the new sets. Great sets. Lovely card samples, as always. Wow, you are all so talented. This is going to be another great release. This set is very near and dear to my heart. Both my MIL and SIL are battling cancer right now! They have both beaten it in the past and hope to beat it again this time around. I can’t wait to make them cards and goodies with this new set! I am sure they will really appreciate this set! Love that you are donating the profits to cancer research. The aqua mist and spring moss butterfly card was my favorite, too! I think it’s very admirable that you are donating all the proceeds of the Faith and Hope set. It looks like a beautiful set. As a survivor, I thank you for the Faith and Hope set…from the bottom of my heart! I am a big fan of leaves stamp. This one is just too pretty and a must have. My favorite is the butterfly card as well. what great ideas for pick-me-up cards. I think it’s great that PTI has a corporate policy of supporting foundations which fight cancer.Thank you! Also the Faith & Hope set is simply lovely. Thank you for creating stamps that we can create hope with. I have been involved in breast cancer awareness events for many years. It is so important. I think my favorite thing about Release weeks are that, other than getting amazing sneak peeks at some wonderful products, I also always learn a new trick or two or three! Thank you so much for teaching me something new every month! Love the new sets – so beautiful! What beautiful cards you’ve made wit a beautiful and well deserving set. Thank you for matching Beth’s donating and donating all the profits to this cause. I love the quotes and can’t wait to get this set. The first card is my favorite. Thanks for the inspiration and the giveaways! My MOM was a breast cancer survivor…thank you for donating all the proceeds to that very worthy cause! You are awesome for doing that! I know so many people battling cancer 🙁 These stamps are perfect for encouragement. As a cancer survivor what an awesome stamp set for a cause close to my heart. This set is a must have! I wish we didn’t all know so many people affected by this terrible disease! The cards are just beautiful!! We have all needed a stamp set like this at one time or another when a “thinking of you” card just doesn’t cut it. The butterfly card is my fave but everything looks amazing and even more amazing is that the proceeds go to charity! This is a wonderful set, I have a number of friends fighting cancer at the moment. Nichole, your cards are gorgeous. I have a friend facing her second occurence of breast cancer and she lives far way so this set will be perfect for me to send words of encouragement. Absolutely beautiful products ans projects! What a way to other cancer victims! Beautiful, heartfelt projects!!!! Love and hope….. The set is beautiful, but the cause behind it is even more so!!!! Thanks for supporting the cause…. Flower fusion is wrapping up the year so nicely. I knew it would be a collection I’d love! and I do!! The ribbon set is perfect! Thank you for supporting such a wonderful organization. I’d buy the set even if I didn’t stamp. but I do stamp! so that makes me even happier. ha! I love all the projects today but your Faith and Hope set will be sure to make it into my cart. Everyone has been touched by cancer somehow either by family, friend, neighbor, co-worker….and so many times we need help expressing ourselves. This set will help us do just that and is sure to have a place my stamp room. I am so thankful to have a stamp set to help me encourage my friends and family who are fighting cancer. When my mother was fighting her’s (now 100% clean for 2 years!!!!) I know how much little notes from loved ones helped to keep her spirits up. Great projects. Beautiful stamps. Thanks for sharing. Faith and hope is a lovely set. My cousin is currently fighting breast cancer and I know many are facing that challenge. WOW! Faith and hope is an amazing and jaw dropping set! Brilliant and beautiful work, Beth. Cancers hits all of us in one way or another, and the sentiments you’ve shown are so inspirational. Beautiful! What beautiful cards, what a great stamp set! So thoughtful to donate the proceeds to such a wonderful cause that has affected so many people is different ways. Truly wonderful! Thank you for making a hopeful statement with your Faith and Hope set. I am currently trying to support my baby brother’s struggle with cancer treatment and have a student whose mother is facing a recurrence of cancer. I love Papertrey Ink! Faith and Hope set is wonderful and a must have. Unfortunately, sometimes we need these cards but they are so beautiful and uplifting. What clever designs! I am amazed at all of this creativity! This set is great and I really like the ribbon die. A nice change to have in your collection. The butterfly is very pretty. I love the necklace featured on your blog. I am a cancer survivor and would love to buy one. Is there anyway you can give me the name and blog of the person who made it? it’s amazing that life these days has been so touch by the pressence of cancer .